Align Posi-Temp Rain Shower 1-Handle Tub And Shower Faucet Trim Kit In Matte Black (Valve Sold Separately) From large, open master baths to minimalist powder rooms, Align faucets and accessories bring a refreshed modern look to your home with simple lines and contemporary style. 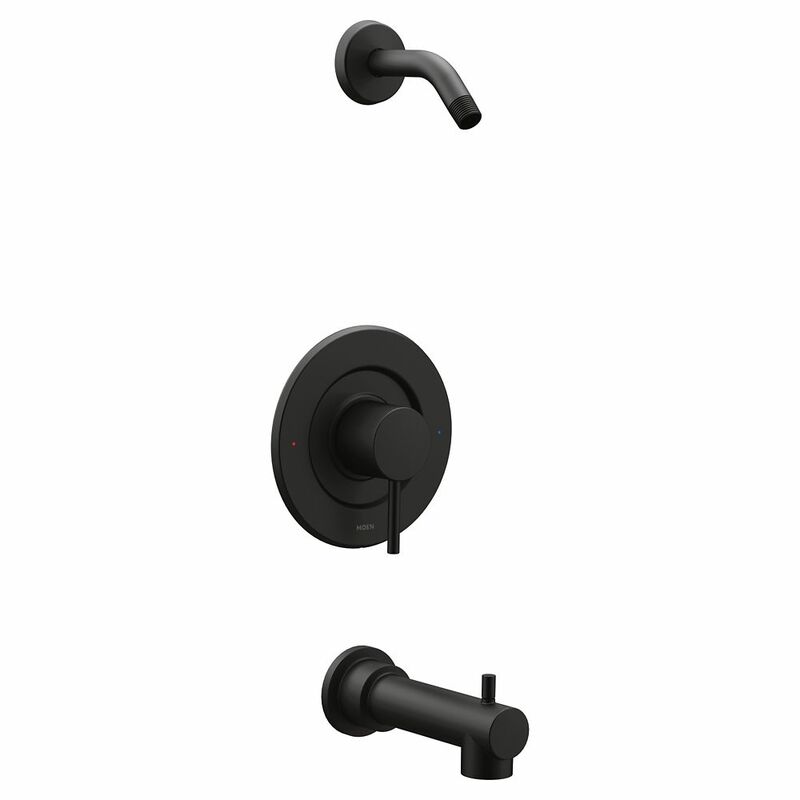 Align Posi-Temp Rain Shower 1-Handle Tub And Shower Faucet Trim Kit In Matte Black (Valve Sold Separately) is rated 5.0 out of 5 by 3. Rated 5 out of 5 by seaspd18 from Looks great and easy to install. Does collect water spots... Looks great and easy to install. Does collect water spots easily, so if that bothers you, choose a finish besides brushed nickel. Rated 5 out of 5 by Anonymous from Very nice Product was very well made, looks great, and the rite price. Rated 5 out of 5 by antandlyd from Modern. Sleek. Beautiful. BUY A VALVE!!!! This is a beautiful, clean, modern looking, minimalist trim kit. I adore the look which is why I decided to keep it despite the problems I encountered. I know now that "valve not included" is really marketing speak for "beware: you are about to spend a lot of money to complete this purchase"! Not only was the valve another $94 but it had to be special ordered which delayed my bathroom reno almost a week. Translation: I was MOST inconvenienced. I was NOT happy. I suppose Home Depot gets a pass on this as they did alert me that it did not come with a valve. That being said, I am not a plumber, so like most end users, I purchase what appeals to me aesthetically. This did. I temporarily suffered. Lesson learned. All in all, I like this. It has great water pressure and it fits the style I wanted. Just be sure to order your special valve at the same time.